CUSP goes to APhA Annual Meeting 2017! Our chapter attended APhA Annual Meeting 2017 in San Francisco this past weekend (March 24-26th) and we all had so much fun! About 30 of our members attended throughout the weekend and participated in the many informative sessions, expos, and receptions at the time. Also during the House of Delegates, we also got to hear speeches and vote for several candidates for National Standing Committee for APhA-ASP. Congratulations to all the members this past weekend that have made on! Shout out to Priya Patel and Tiffany Nguyen, our finalist and runner-up in our local patient counseling competition who’ve represented us in the National Patient Counseling Competition at Annual! Despite not placing in the top 10, both competed very well and did their best. We couldn't be any more proud to have them represent our chapter! During this event, our Assistant Dean of Experiential Education and Continuing Professional Development Pharmacy Practice, Dr. Nancy Alvarez, was installed as the new American Pharmacist Association President! Congratulations to her and all that she's done to get this far and wish her the best during her term! Check out Dr. Alvarez's speech here! Lastly, after the CPhA Reception, we joined together at the Go Game Headquarters to participate in a fun, exciting event hosted by Dean Jordan. Many of the games ranged from trivia to improv and crafting, and one winning group came out victor of the entire night! 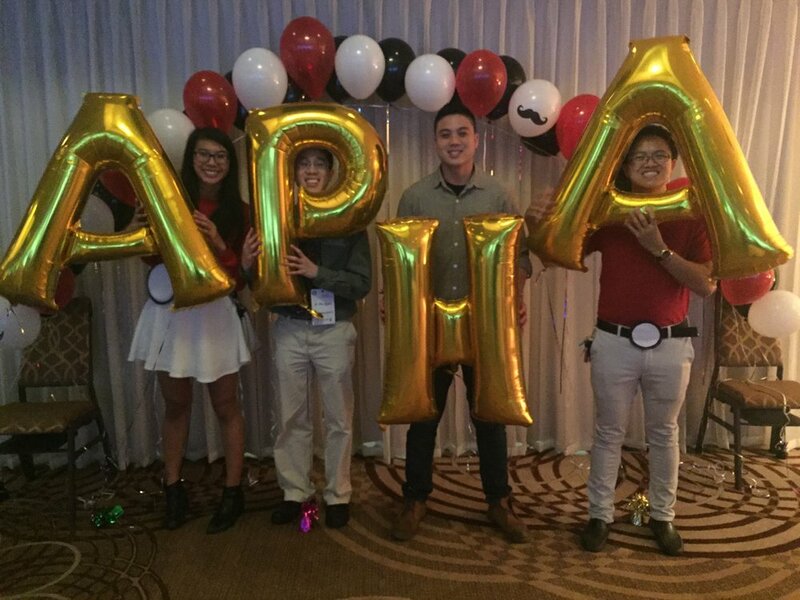 "Attending APhA is actually life changing. It's not knowing what to expect and then experiencing it changed how I view what a true conference is like. I laughed, I cried, and had lots of other emotions, but overall I feel like a flame ignited in me to do my best for not only myself, but for advocacy and policy. What you put in is truly what you get out of it." Cathy Nguyen, P1, Vice President of Chapter Policy. 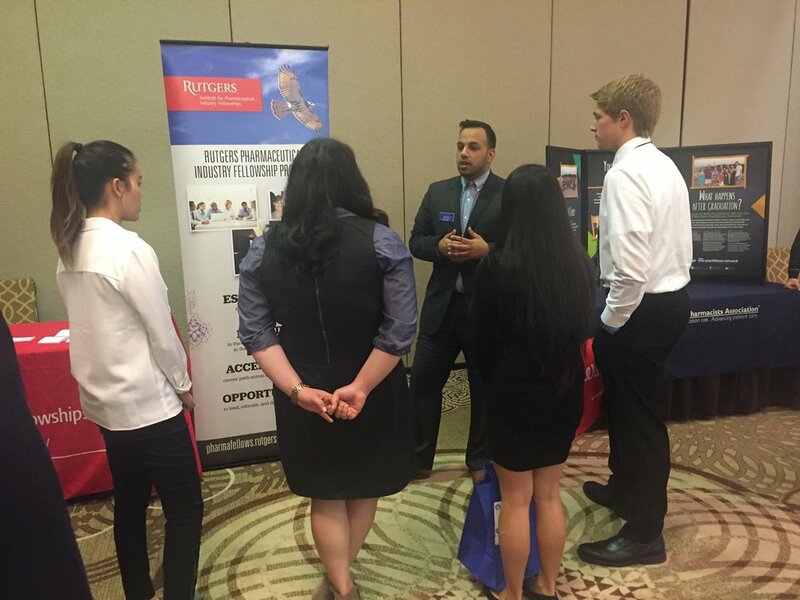 "I've learned a lot from this conference about the organization as a whole and had an awesome time talking with others during the exposition. Meeting other students and pharmacists from all over the nation really made me feel as though I've picked the right profession and knowing that we all share a common goal in the end made me feel very united with everyone. Mary Ngo, P1, Vice President of Communications. Despite the drizzle we experienced during that weekend, that never stopped us from the conference and everyone had a wonderful time! We hope to see more people coming out next year at APhA Annual 2018 in Nashville, TN! Chapman attended our first Region 8 Midyear Regional Meeting (MRM) last weekend at the Sheraton Park Hotel right here in Anaheim, CA! CUSP had nearly 30 of our officers and members attend throughout the weekend and met our peers from other programs in Region 8! We had a strong showing for our first MRM, with a mix of executive officers, and general members, including many of our new P1 members! We attended the Nintendo-themed opening reception and participated in the Super Smash Bros competition where we placed 2nd, losing only to Western. At MRM, we had the opportunity to recognize a member of CUSP's APhA-ASP/CPhA chapter for their outstanding work, commitment, and dedication to our chapter. At this MRM, we recognized Sarah Audi, our chapter's VP of Policy, for her exceptional work in our org. 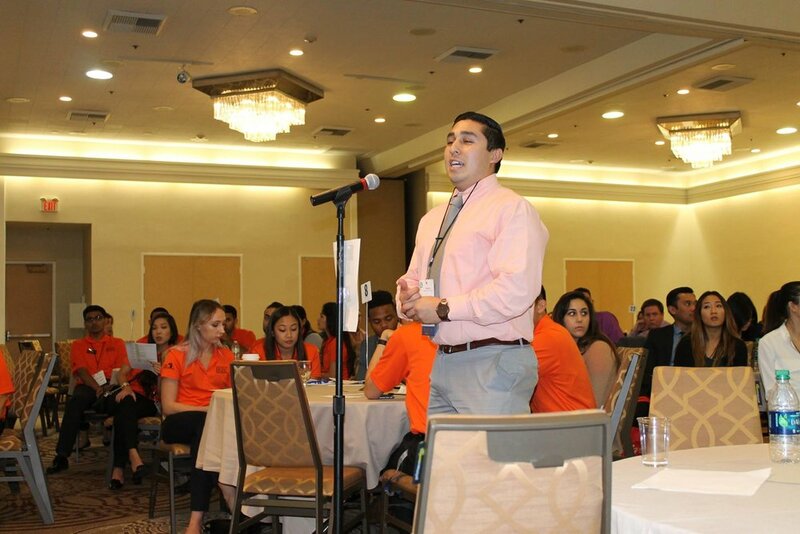 Alex Delgado, a Chapman P1 member, admirably applied and ran for a Regional Coordinator position, but had lost to another more senior, Region 8 member. We admire your enthusiasm and pursuit of leadership positions, we hope you continue to pursue these roles in the future! Many of our members helped create and modify our MRM policy proposal of Safe Disposal of Oral Anticancer Chemotherapy Medications. With your input and support, we were able to easily pass our policy through the MRM House of Delegates, where it will go up to the national chapter for consideration. Thank you to everyone who dedicated their time and efforts towards this policy proposal. With the ending of October as American Pharmacists Month, CPhA-ASP Legislative Week 2016 was a joint effort from all California schools to host events that highlighted updates in pharmacy legislation and to encourage members to stay active and informed! Throughout the month of October, we shared stories from Chapman University School of Pharmacy's faculty with #IAmAProviderBecause to showcase the full scope of care that pharmacists can provide. Thank you for your inspiring stories! 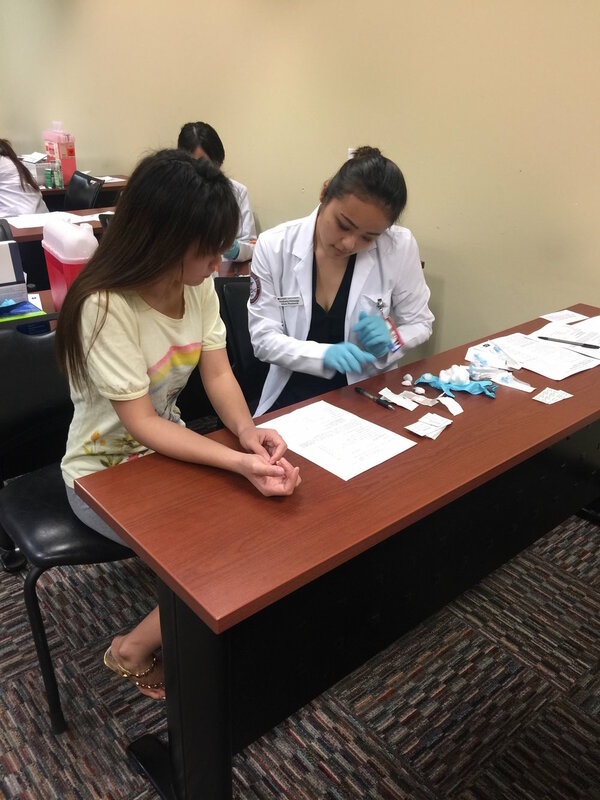 On Sunday, 10/30, we had 16 Chapman pharmacy students volunteer to give flu shots at a local health clinic hosted by our local state legislator, Senator Janet Nguyen. This event provided free medical, dental, and vision care to the underserved residents in the Orange County area. 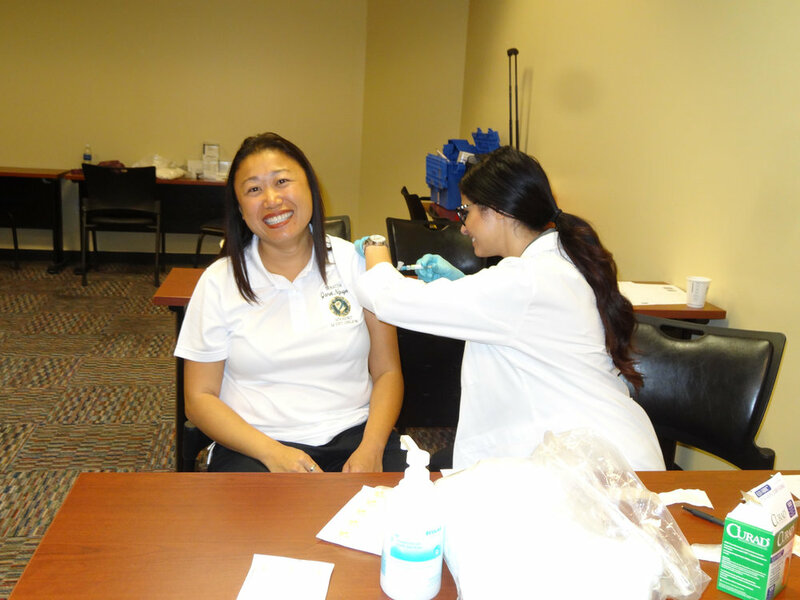 Senator Janet Nguyen has been a huge ally in the support for American Pharmacists Month and one of our pharmacy students administered the Senator herself a flu vaccination! 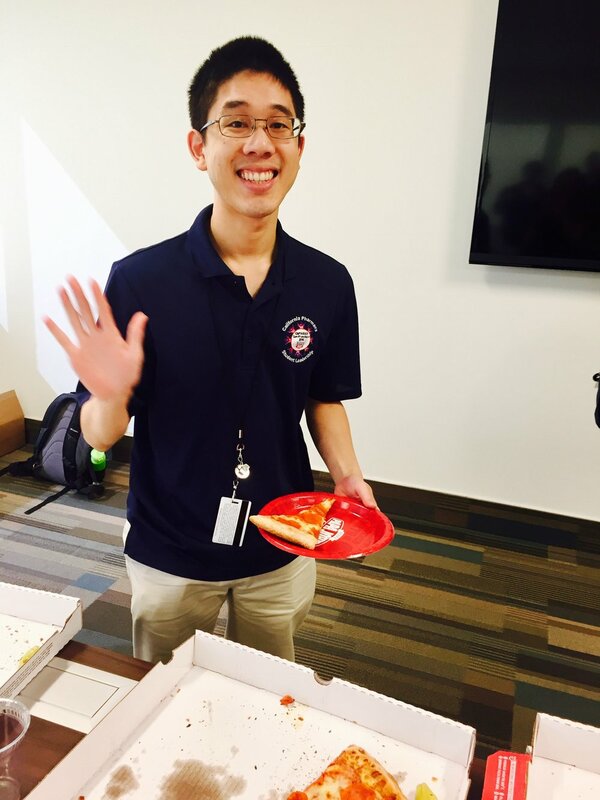 We had a great turnout for our Pizza Policy event hosted by Dr. Siu Fun Wong on Thursday 11/3. Dr. Wong explained the importance of advocating for changes to safe medication disposal especially in regards to hazardous oral chemotherapy medications. With the intention to better educate the public and modify current medication take-back procedures, Dr. Wong's advocacy supports safer environmental practices, improving public health and safety, all while empowering pharmacists. 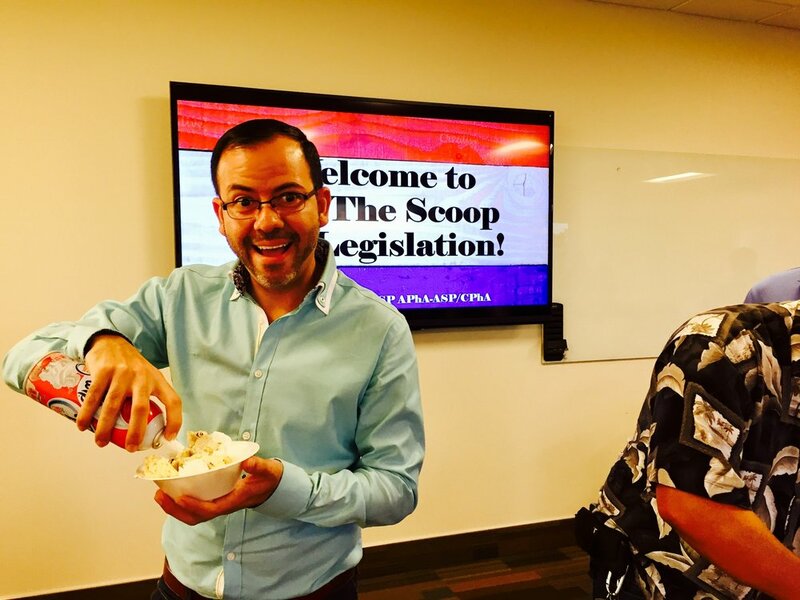 On Friday 11/4, Dr. Tony Park facilitated Chapman's Get the Scoop on Legislation discussion yesterday. 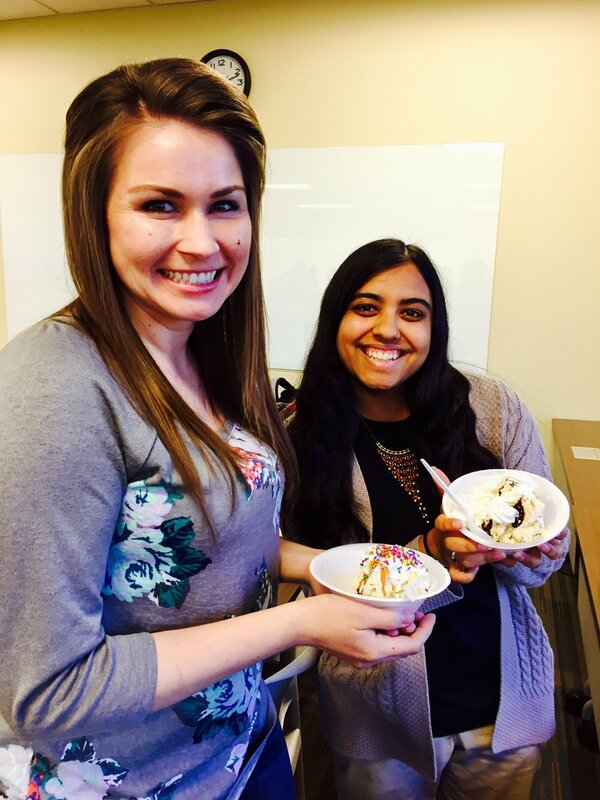 While students enjoyed ice cream sundaes, Dr. Park informed us about updates within pharmacy law and current legislation that is moving forward to enhance and expand the role of pharmacy. Hope everyone enjoyed all of the events provided for the month of October and feels inspired and motivated for the future scope of pharmacy! Dr. Mary Gutierrez is currently a professor of pharmacy practice at Chapman University School of Pharmacy and faculty-in-residence at Mission Hospital in Laguna Beach working with patients with chemical dependency and psychiatric disorders. Dr. Gutierrez received her bachelor’s degree from Pepperdine University and her Doctor of Pharmacy degree from USC. She completed her residency and fellowship training in psychiatric pharmacy practice at USC. After her fellowship training, she joined the faculty at the USC School of Pharmacy. She has received several Professor of the Year awards and Preceptor of the Year awards from both USC and Loma Linda University Schools of Pharmacy. "A big part of clinical pharmacy practice is working with other healthcare professionals. Several studies have shown the impact that a clinical pharmacist can have on a healthcare team. This is especially true in the fast-paced and challenging environments of the emergency department and intensive care units. Every patient is unique and has special disease and medication considerations and it is important to tailor their medication therapy appropriately. I love working with the other health care providers to provide the best patient care possible. During medical emergencies, it’s all hands on deck and everyone on the healthcare team does whatever they can do to help. As a pharmacist in the emergency department and ICUs, I help with whatever I can—anywhere from making medication recommendations, drawing up medications at bedside, calculating doses, etc. to priming the IV tubing, setting up the medication pumps, running to get a warm blanket, or getting in line to help with chest compressions. #IAmAProviderBecause of the patients. Everything that I do in my profession is for the patients, whether it is through direct patient care at the hospital or indirect patient care via conducting clinical research, teaching and precepting students, providing in-services and serving on committees; everything is for the patients and to promote excellent patient care." Dr. Kimberly Won earned her B.S. at UCLA, and her Pharm.D from University of Colorado Skaggs School of Pharmacy. She completed her PGY1 at UCSD in acute care, and her PGY2 at University of Colorado Skaggs School of Pharmacy in critical care and emergency medicine. She is currently a clinical ED pharmacist at Mission Hospital and an assistant professor at Chapman University School of Pharmacy. “#IAmAProviderBecause I work for the VA system and I believe that veterans deserve the best care possible and part of the best care is having a collaborative provider network including physicians and pharmacists that can promote the best healthcare. 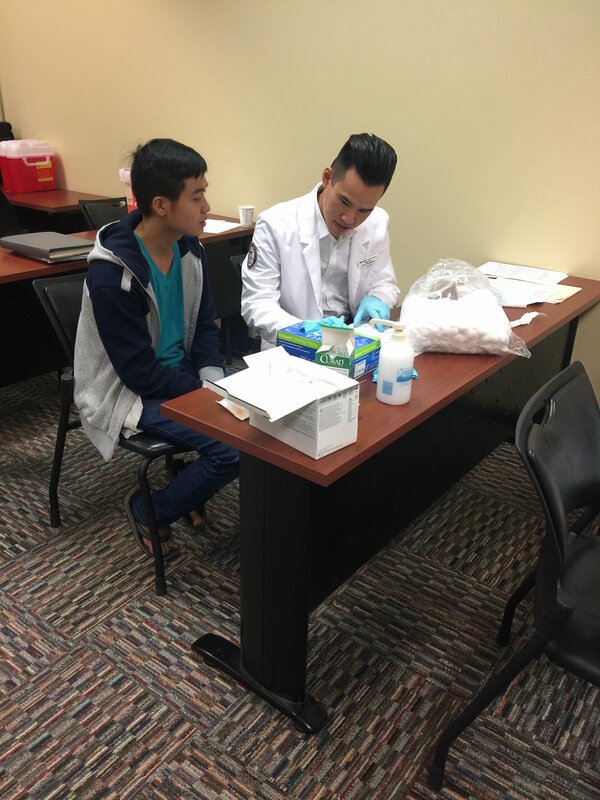 Dr. Viet Nguyen was a clinical pharmacy specialist in neurology at the VA Greater Los Angeles Healthcare System and is an assistant professor of pharmacy practice at Chapman University School of Pharmacy. She graduated from USC in 2003, UCSF pharmacy school in 2007, and completed her PGY1, PGY2, and PGY3 residencies at the VA. Being the first pharmacy school in Orange County, we have a duty to serve all patients that come from a variety of rich backgrounds here in the OC. We decided to start this foreign language series to provide students with additional skills to communicate with the diverse community of Orange County and the diversity in southern California in general. We have a 5 part mini series (Spanish, Farsi, Vietnamese, Arabic, and Korean) that teaches introductory pharmacy phrases in each of those languages. All of the language workshops are taught by our classmates and fellow members of APhA-ASP. We are addressing and embracing the diverse cultures of our community and are seeking to provide our patients with the most comfortable environment. Simple phrases like "hello" or "how are you" in one's native language goes a long way. For some videos taken during the series, please check out our facebook page!